This Chicken Karhai is as good as the one from the Karachi-Hyderabad highway! The word Karhai means “wok”. 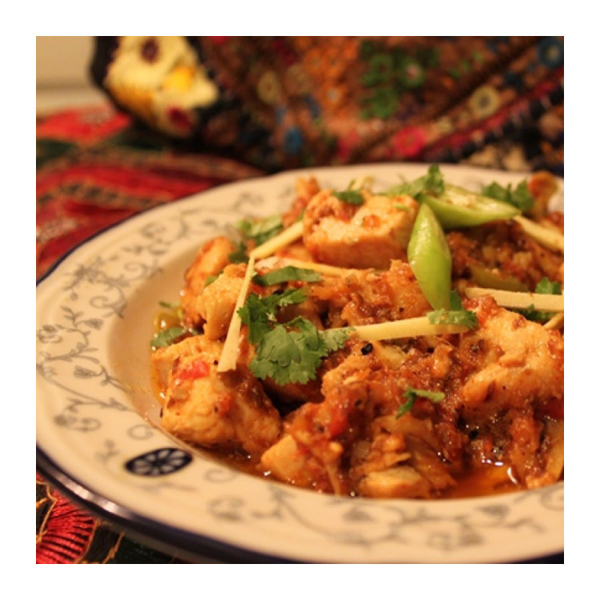 This dish is traditionally cooked in a wok on a high flame and is hence called chicken karhai. My recipe for chicken karhai has evolved after I ate karhai at a dhaaba (roadside restaurant) on Karachi-Hyderabad M-9 Super Highway in Pakistan, many years ago. I can never forget its taste. What struck me the most about that particular chicken karhai was, the simplicity of the technique and minimum spices used to create such an unforgettable taste. – Heat a pan (it should have a lid) and add oil and butter to it. Don’t let the butter burn. 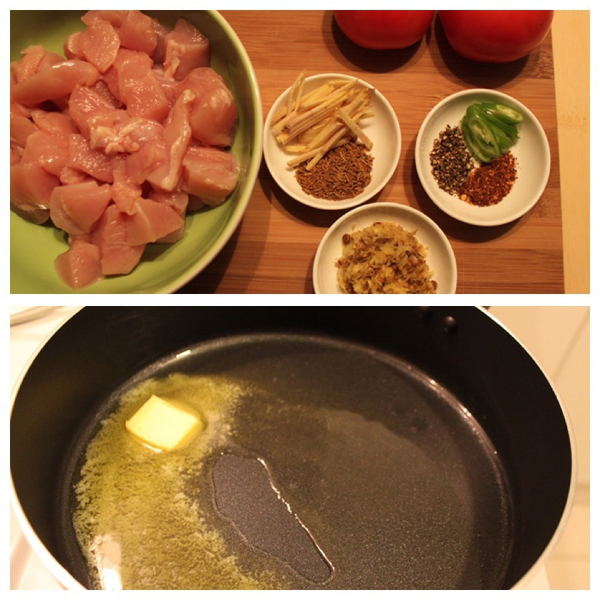 – Add chicken and sauté it on medium to high heat so it changes colour. 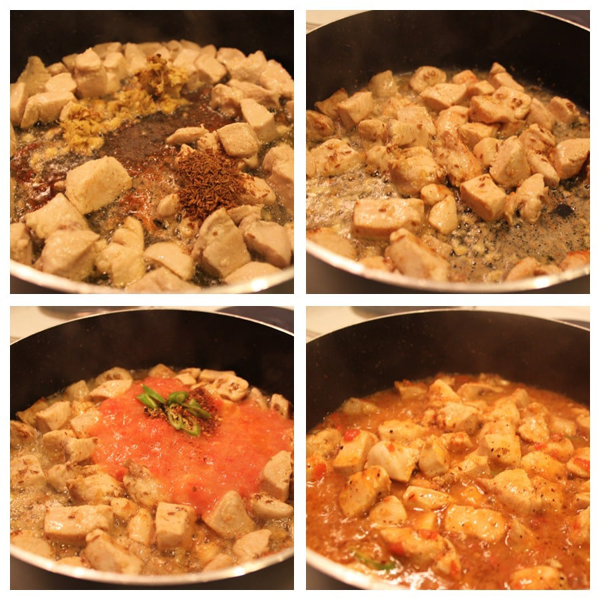 – Add cumin seeds and ginger-garlic paste. Cook for about a minute. – Add tomato puree and cook on medium heat. – Now add salt, crushed red chillies, crushed black peppercorn, half of the chopped green chillies. Add half of the julienned ginger. 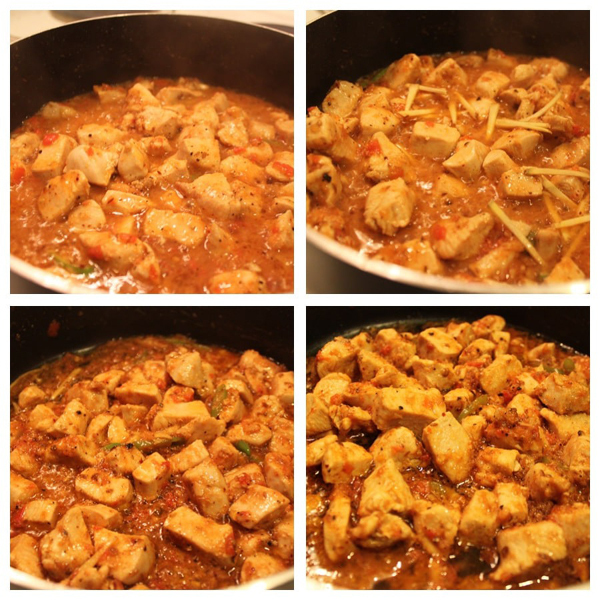 – Cover the pan and cook on medium heat till the moisture from tomatoes evaporates and chicken is tender. Mix from time to time. – Now reduce the flame to the lowest and allow the oil/butter to come out from the sides of the chicken. This should take about five mins. Switch off the stove. Dish out in a serving bowl. Garnish with the remaining ginger, green chillies and coriander. Serve hot with flat bread or buttered naan alongside salad and raita.